This same scenario is still happening today. For lack of knowledge and understanding caused by the absence of proper instruction, many leave the Church that Christ established. 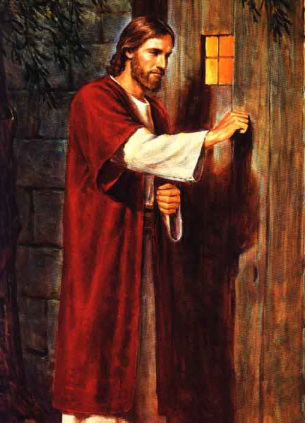 Jesus is knocking at the door of our hearts today. He invites us to know him more and one of the ways by which we can come to know him is through the Sacred Scriptures. It is for this reason that we invite you to read the Reflection for Today and try to spend some time each day to understand with clarity the message that Jesus conveys, accept the truth that is engraved in the Word of God and, apply God's Truth in the way we live our lives. To lead others to know Jesus Christ, our Savior in the Light of Faith.